Scientific outreach is an integral part of the work that I do. This site includes information about my participation in different outreach initiatives. ​What Lives in the River is a hands-on interactive introduction to fish, shellfish, and other critters inhabiting the Narrow River Estuary in Narragansett, Rhode Island. 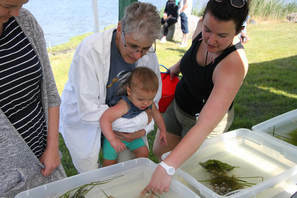 The event aims to teach people of all ages about the importance of estuaries as nurseries for fish and shellfish, and the role of salt marsh plants in marine food webs. Participants use seine nets, hand nets, buckets, microscopes and guidebooks to observe the local inhabitants of the Narrow River. The event occurs twice a year: in June and September. For the June 2018 What Lives in the River Event, I volunteered with the NRPA as an expert guide by assisting participants in seine net sampling and specimen identification. Since I grew up exploring the Narrow River, this was the perfect opportunity for me to give back to the community that fostered my passion for the ocean from a young age. I look forward to participating in future outreach events on the Narrow River! Click here for more information about NRPA! Beginning in Summer 2018, I began giving Eco Tours with Narrow River Kayaks. They are a great opportunity to share my knowledge about the Narrow River Estuary with the public. 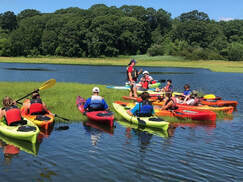 The tours include paddle instruction, exploration of the John H. Chafee National Wildlife Refuge, and stories of the history of the Narragansett Indian Tribal Nation. Depending on the interest and skill level of participants, we may get out of the kayaks and investigate the tidal mud flats and nearby beaches. Eco Tour participants include local children's camps, families and couples. The Scientific Research and Education Network (SciREN) is a non-profit organization founded and run by graduate students that focuses on bringing North Carolina-based researchers and teachers together. 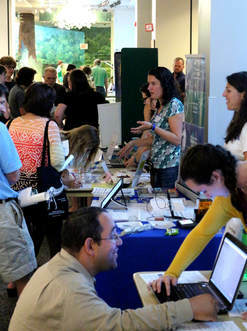 SciREN offers workshops and networking opportunities for researchers in science, technology, engineering and math (STEM) fields to connect with local K-12 teachers. SciREN supports STEM researchers in generating lesson plans to enhance the broader impacts of their research, while providing teachers with exciting and cutting-edge lesson plans designed by the researchers themselves. In 2016, I participated in SciREN Triangle and SciREN Coast as a researcher, having developed an interactive lesson plan for grades 5-12 on Marine Food Webs. In 2017, I became a co-organizer of SciREN Triangle, collaborating with graduate students at UNC-Chapel Hill, Duke University, and North Carolina State University. Click Here for more information about SciREN! ​The North Carolina Science Festival is organized by the UNC Morehead Planetarium and Science Center, and features a variety of fun science-oriented activities throughout all 100 counties in the state. The North Carolina Science Festival brings together STEM professionals, students, families, teachers and volunteers through hands-on activities, presentations, expos, and performances. 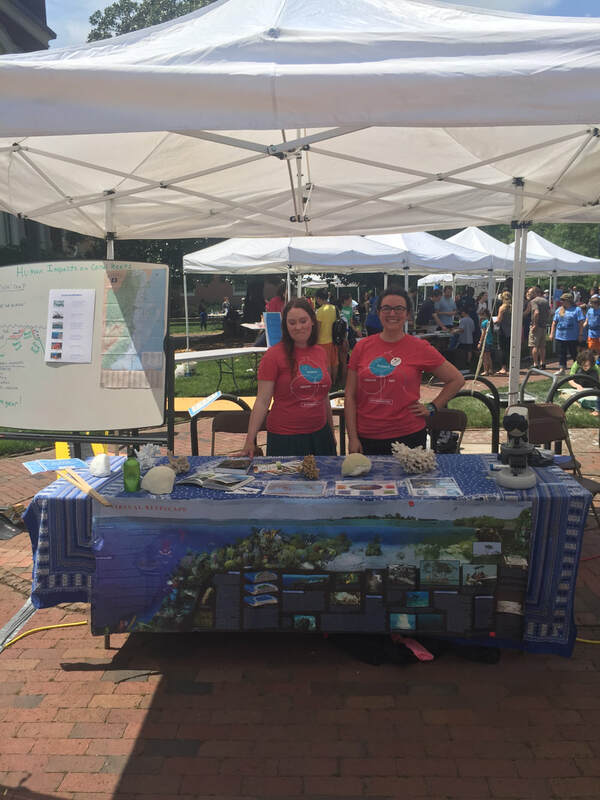 In Orange County, the North Carolina Science Festival comes to UNC-Chapel Hill's campus in the form of the UNC Science Expo. The Science Expo is a daylong event featuring interactive science-related activities for all ages, food trucks, and even live music. In April 2017, I collaborated with graduate students in Dr. Karl Castillo's lab to offer hands-on activities about coral reef ecology and physiology, SCUBA diving, and marine conservation. It was a great way to inspire the next generation of scientists through a positive learning environment. Click here for more information about the NC Science Festival! REEF is a marine conservation non-profit organization that focuses on inspiring recreational divers and snorkelers to become citizen scientists and ocean stewards. One of REEF's most popular programs is the Volunteer Fish Survey Project, where divers and snorkelers collect and submit fish survey data to an online database. Another of REEF's programs is the Invasive Lionfish Program, which focuses on providing information about the lionfish invasion to the Caribbean as well as removal efforts, like the Lionfish Derby Series. REEF also offers trips to destinations around the globe with the focus of conducting fish surveys while on a dive vacation. For those looking to learn about fish identification, you can turn to online webinars (called "Fishinars") that feature tips for identifying different species of fish. Since my marine conservation internship with REEF in 2013, I have remained an active member in its citizen science efforts. I continue to submit my own fish surveys to the database, working to advance in surveyor level, ultimately leading to Expert. 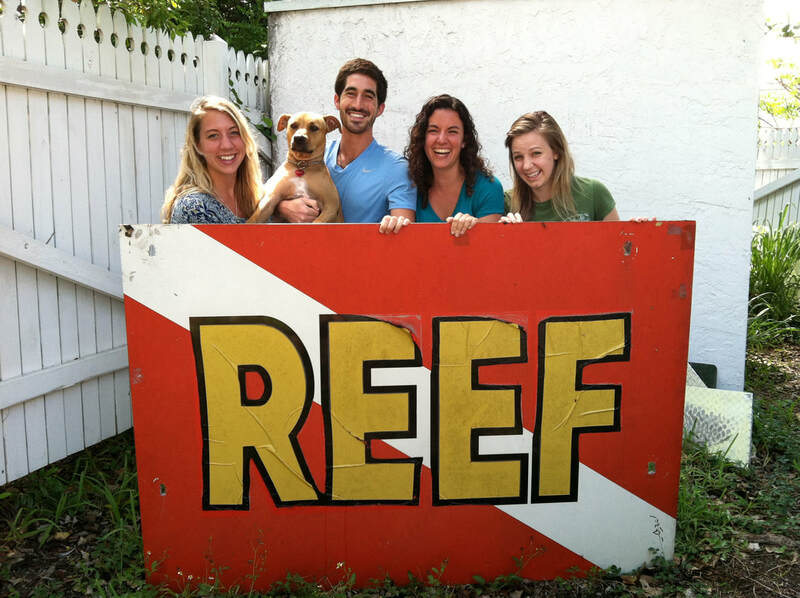 I also volunteer REEF Fest, which is an annual celebration of marine conservation located at the REEF headquarters in Key Largo, Florida. 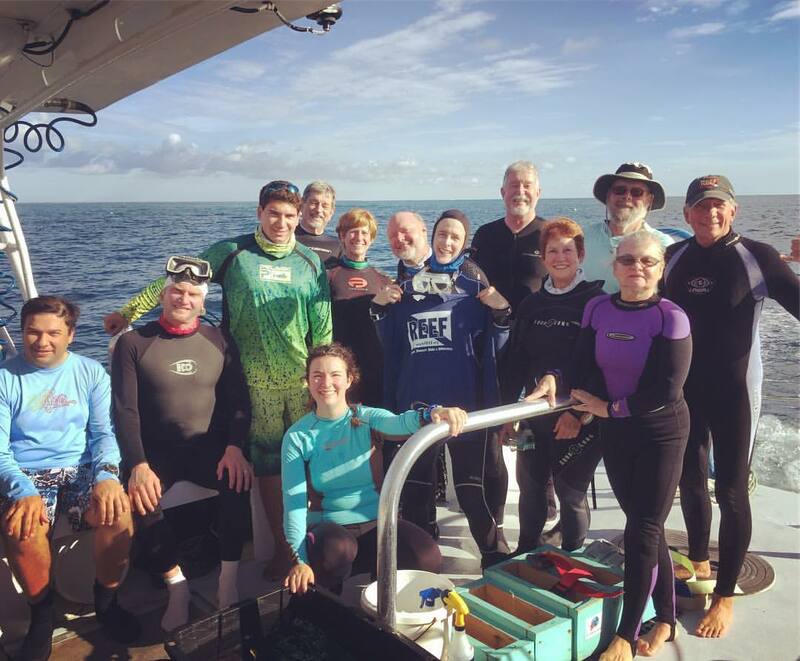 REEF Fest includes morning fish survey dives, afternoon seminars by experts in the ocean sciences and then evening networking events among members. Click Here for more information about REEF!